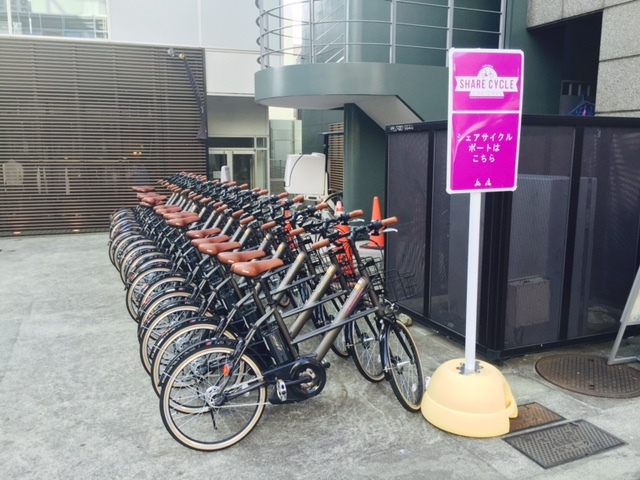 COGICOGI provides bike share service, rental bike service, and cycling tour service. 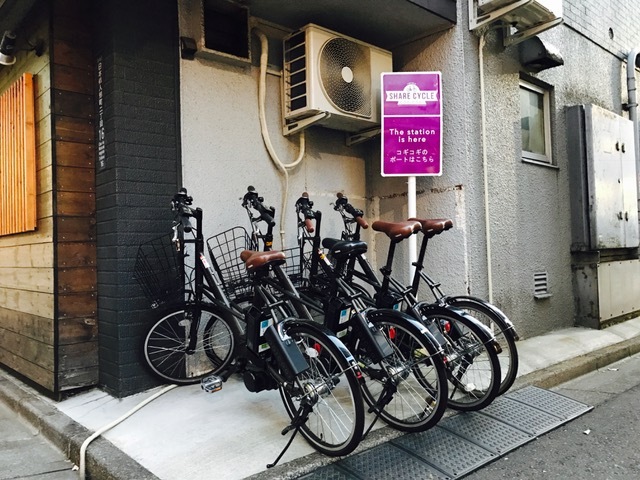 Please choose your best cycling trip on COGICOGI. 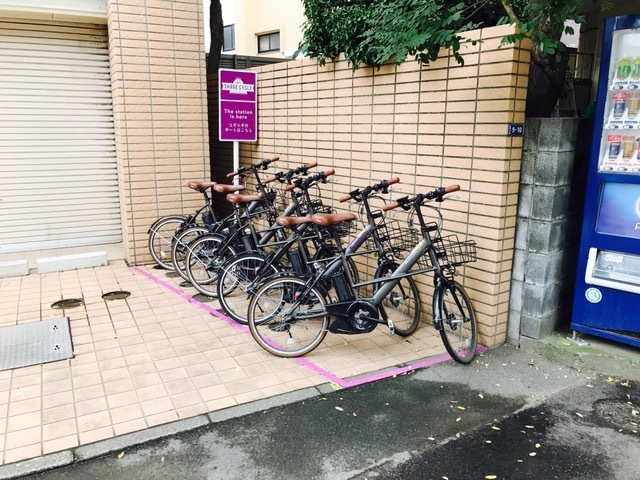 You can rent a electric bicycle at Shibuya, Daikanyama, Nakameguro, Jiyugaoka, Asakusa, Skytree, Ikebukuro and another bike ports. COGICOGI is available 24 hours. 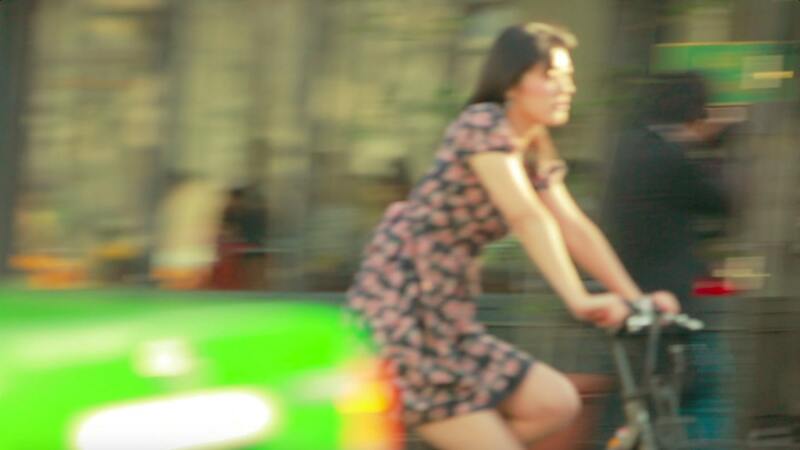 Please enjoy your bicycle travel in Tokyo. Please tap "Find Port" on the "COGICOGI SMART!" 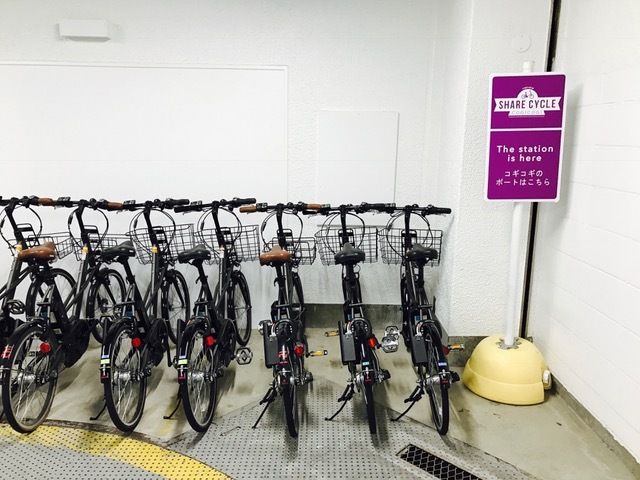 app for the latest information on our bike ports. 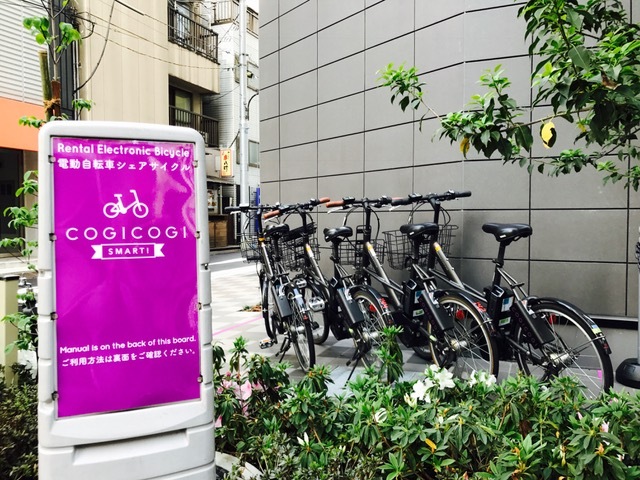 COGICOGI’s bicycles are all e-bikes(electric bicycles). 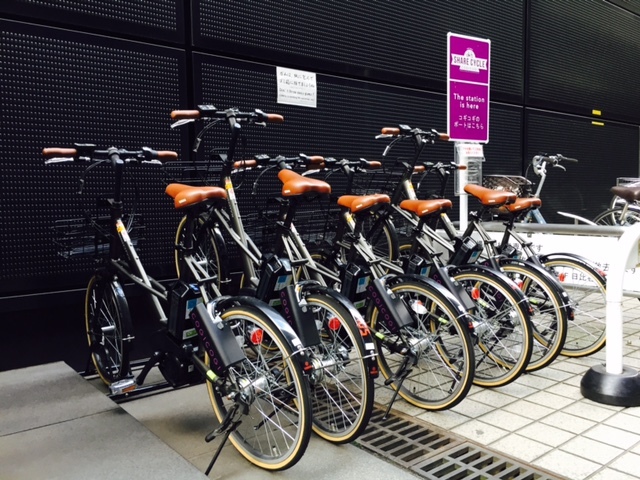 You can borrow them around Shibuya station. You can also make reservations three months in advance. Price: 1day(¥2,400), 2days(¥3,600), 3days(¥4,800), 4day(¥6,000)...We can discount long term renting. 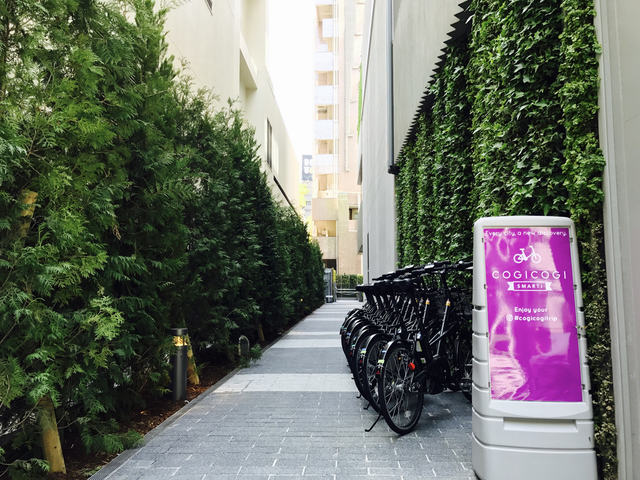 Additionally, we deliver bicycles to hotels for ¥2000 in Tokyo. Please contact us by this form by 4pm of the day before you want to rent. 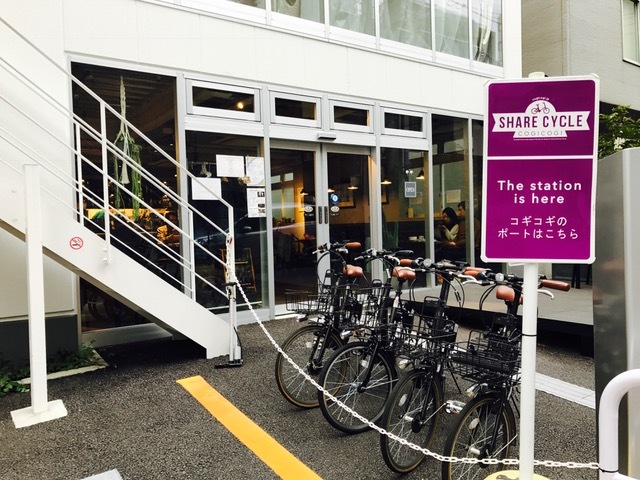 COGICOGI started a cycling tour service. We will guide you around Tokyo to famous sightseeing places and new spots. 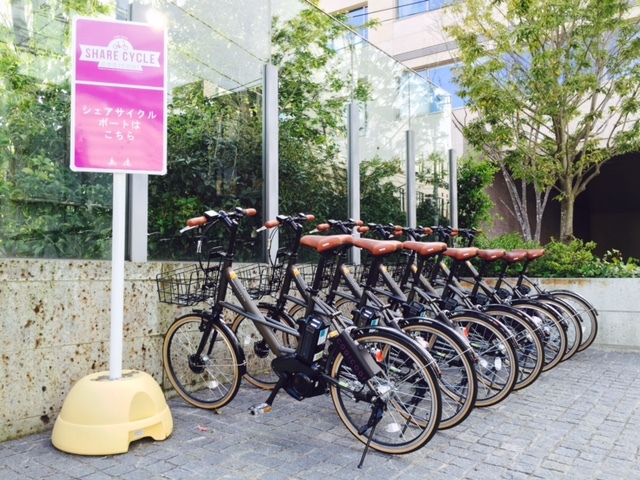 Our staff will lead you, so all you need to do is to come with us on the e-bikes! The price is normally ¥8,000, but in this May, it would be ¥5,000!! Tours are available on Mondays, Tuesdays, and Saturdays in May. Please contact us by this form. Let’s go to famous parks in Tokyo! 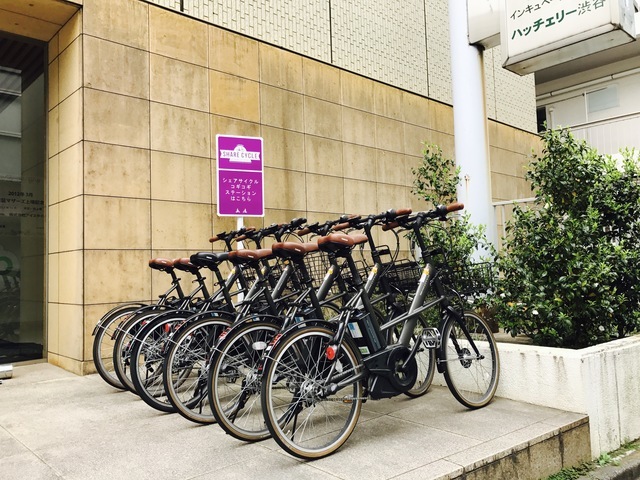 We will take you to famous Japanese parks such as Meiji Jingu Gaien, Shinjuku Gyoen, and Yoyogi Park.We can see the main stadium of 2020 Olympic at Meiji Jingu Gaien. Also at Shinjuku Gyoen, you will spot cultural buildings and gardens of Japan. Finally, we will feel the vibe of nature at Yoyogi Park, alongside with Meiji Jingu Shrine, located right next to the park. Let's go to both new and old Tokyo. 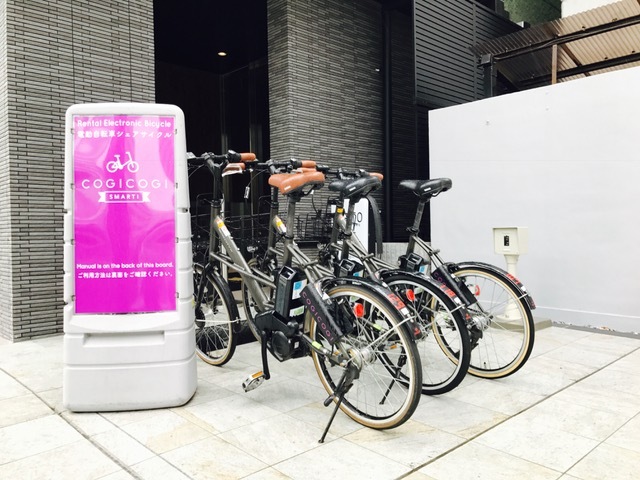 On this tour, we will ride around Sky Tree town, Asakusa, and Ryogoku. Sky Tree is the second highest tower in the world.Asakusa is the most popular temple in Tokyo. We will eat Japanese sweets there.Finally, we will go to Ryogkoku, which has the national Sumo stadium. Let’s feel Japanse culture.